At Advantage Septic & Drain, we provide sewer rooting and drain cleaning services to residents in Morrison, Eastern Todd and Northern Stearns counties in Minnesota. Because clogs can become large-scale problems in a hurry, it’s important to call us at the first sign of trouble. We recommend that you refrain from using liquid drain cleaners, which typically contain acid that may damage your pipes. The clog is usually deeper in the drain line and the chemical won’t make it that far anyway. At Advantage, we provide safe, eco-friendly solutions to your sewer and drain issues with our snaking and rooter service. Food, hair, lint, grease and other objects may block your home’s drain system. With repeated use, grime builds up and prevents water from flowing freely into your sewer. Sewers usually clog due to tree roots growing into the sewer through the pipe connection joints or as the result of grease build up in the line. Both grease and roots collect toilet paper and other debris, and eventually become clogged. When items such as paper towels, diapers, kitty litter or sanitary items make it into your sewer system, it’s generally just a matter of time before it becomes stopped up. 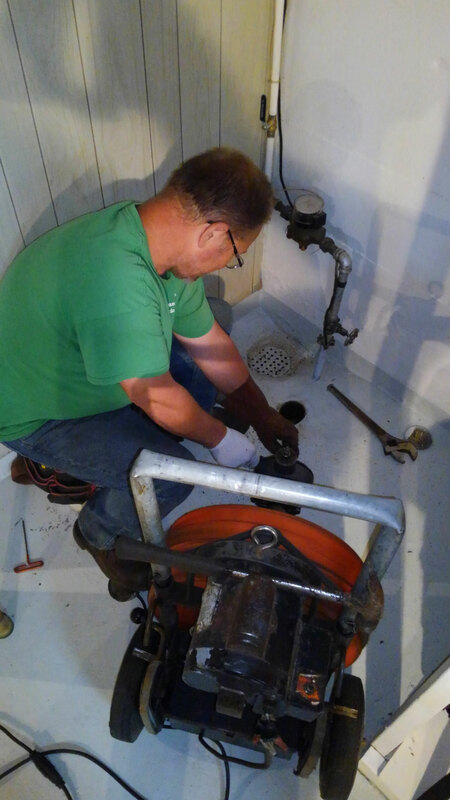 With over 55 years of experience in the business, we’ll not only diagnose the source of your drain or sewer blockage, we’ll accurately identify its location and size. With drain snakes and a rooter sized to matched to the lines, we’ll ensure your drain or sewer remains open and running for as long as possible. If you have tree root problems, we recommend scheduled maintenance, as they will continue to grow back after being serviced. At Advantage Septic & Drain, our well-trained, highly motivated staff focuses on quality work and customer satisfaction. Honesty, integrity and experience are our defining characteristics and what give Advantage Septic & Drain the edge over our competitors. We’re MPCA licensed, bonded and insured for your peace of mind. Contact us today!